I have always had a fascination with history. I love knowing the reason why a society suddenly changes it’s behavior, like bathing for example. During the time of the Ancient Roman Empire, communal bathing was good and encouraged, however by the time the bubonic plague came about in Europe, bathing was discouraged because it was believed to open up the pores of the skin and thus make a person more susceptible to plague. Then, when Oliver Cromwell took office between 25 December 1653 – 3 September 1658, he banned Christmas and placed a heavy tax on soap, which was in place for nearly 200 years. It’s amazing the lengths people will go to in order to avoid paying taxes. 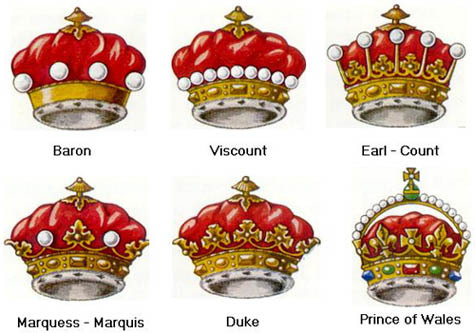 Regardless, along the way I’ve somehow managed to redirect my research topics back to the relevant areas of interest, Royal and Nobel titles and rank as well as title hierarchy within European Monarchy. In Scotland, for example, there’s a special title Mormaer, which is roughly the same as an Earl. Then there’s also what’s known as the Scottish Feudal Barony, which differs from the English Barony system in that fact that the title isn’t strictly male-inherited but may be passed on to anyone either by inheritance or conveyance. The Scottish title system and the English title system are different from each other, just as the Scottish Legal system is distinctly different from the Westminster system.